What is this one thing in your life about which you cannot stop thinking all day? For many, it must be sleep or maybe their partners. But for the major lot its, FOOD! The very sight of food makes our belly scream! The evolution of food bloggers who take all of us through a salivating experience with pictures of delicious food has been legendary in this age of digital media where Instagram has been generating business for so many people. 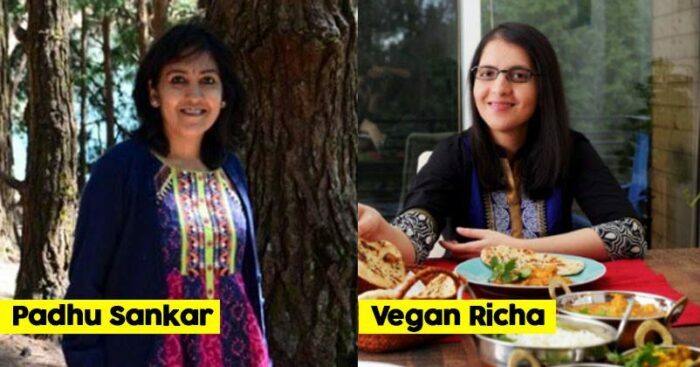 Let us go through the top successful food bloggers in India in no particular order. Swati is one who is called as ‘All-in-one’ person. After being a part of print journalism for almost three decades, presently runs her content consultancy and is also a full-time food blogger. She is known for her in-depth knowledge about the cultural diversity of the different Indian cuisines. Archana has been an accomplished entrepreneur for the past 9.5 years. In addition to it, she is a software engineer who turned into a food blogger. She aims to educate her readers about the power of home cooking in building a healthy society through her blog. Whether you’re an amateur cook, a seasoned one, a trained chef, or just someone who likes to look at food but never cook it, Belly over Mind blog is a great place to brainstorm for ideas. For all the cooking enthusiasts, he is the go-to-guy for some simple yet exotic home meal recipes. Mohit aka Chowder Singh is our real life Munna Bhai because of his life motto “Drink juice, play carrom and life’s sorted”. According to him, Indian cuisine is so diverse that even a lifetime is not enough to explore the whole of it. Nags aka Nagalakshmi has undoubtedly one of the most creative food blogs featuring anything from old-town classic recipes to delicious quick-bites you crave with your evening tea. She is really good at serving something delectable to you. 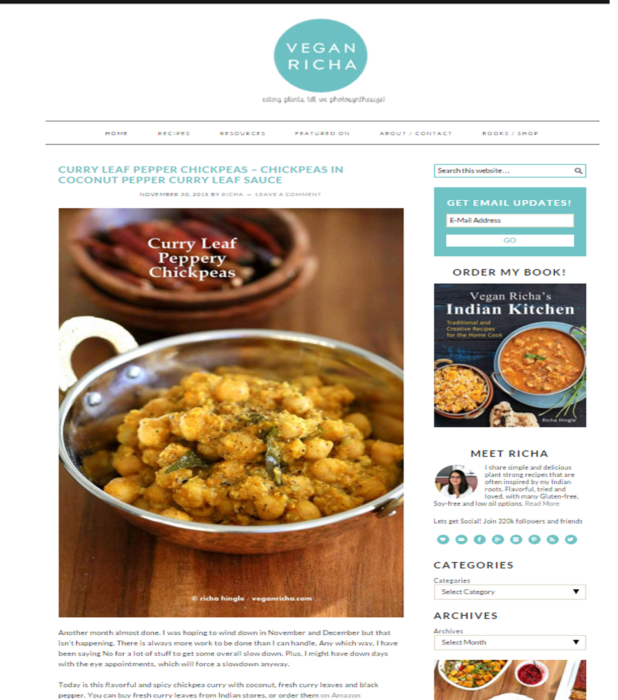 Richa’s wonderful recipe will first make you eat food with your eyes and then with your mouth. You will love all her recipes ranging from gluten-free and vegan recipes to traditional authentic Indian recipes. 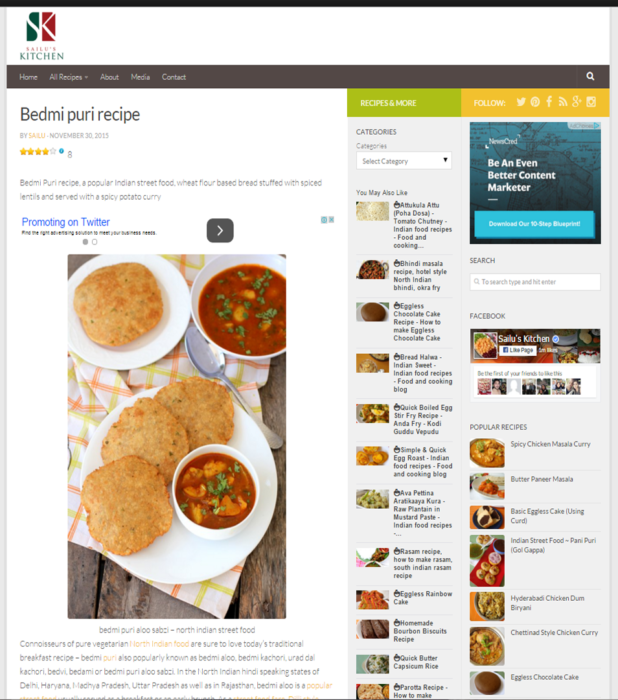 Sailaja’s food blog is a guide and ray of hope for a decade for amateur cooks like many of us. 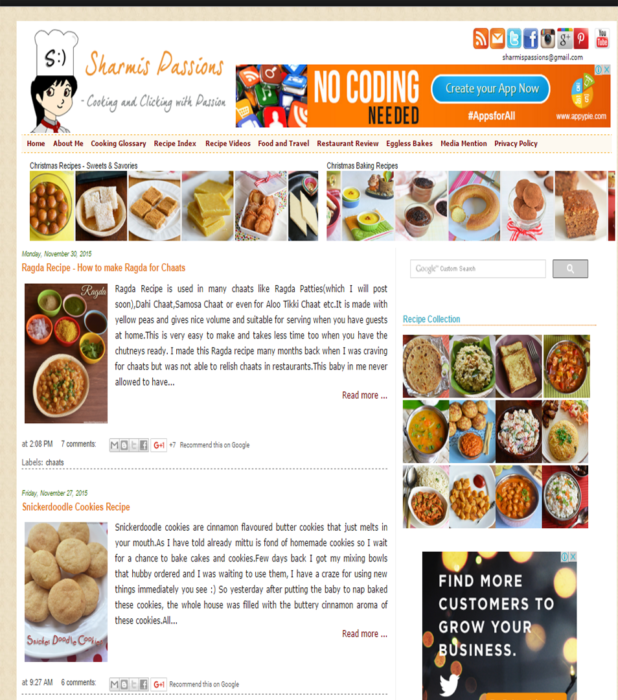 Specialized in Andhra & South Indian food, the blog is for every person who wants to impress others with culinary skills. Passionate about learning novel recipes, especially, South Indian recipes? Follow Sharmilee’s blog. Her simplicity and the step-by-step photography of her recipes makes her loved by all. 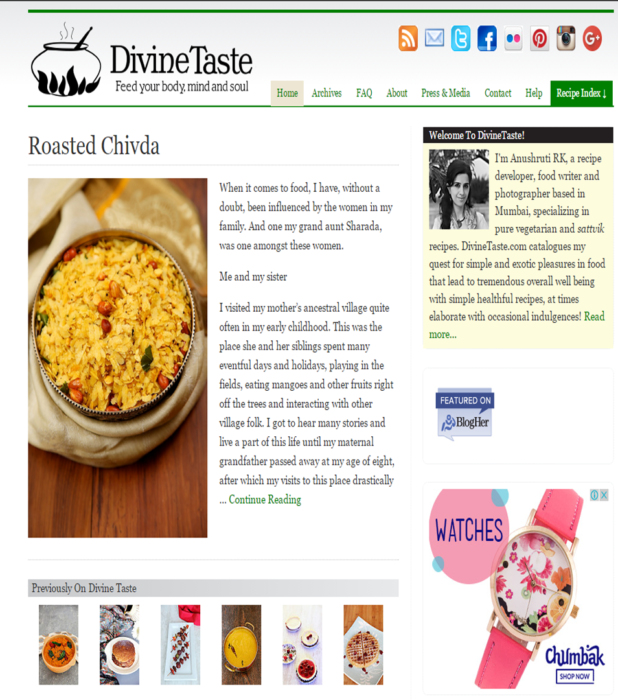 “Feed your body, mind & soul” is what Anushruthi’s blog reads. Her pure vegetarian sattvic food recipes but exotic food makes people indulge and love her recipes. 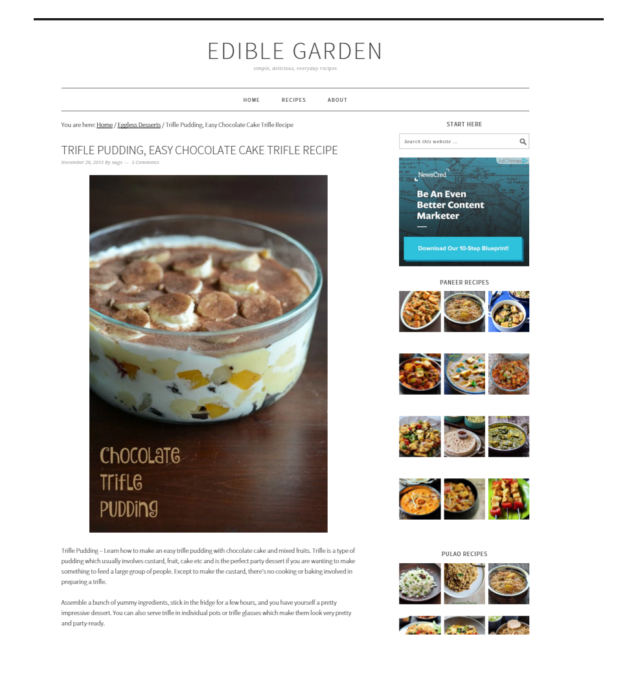 One of the best food blogs which explain that cooking is beyond just putting together 4 different ingredients. 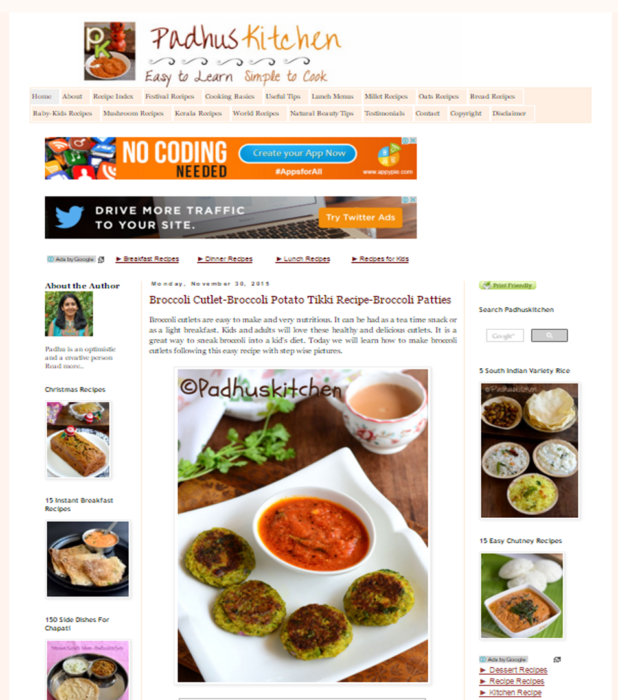 You will find many mouth-watering pure vegetarian & eggless recipes.